​Famously gifted by a how-to guide for the joys of both Saturday night and Sunday morning, Paul Thorn cherishes lessons learned from both preacher (his father) and pimp (his uncle). 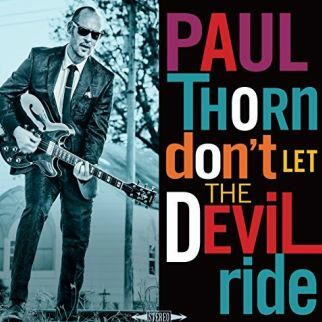 Claiming the title of son-of-a-preacher-man by birth, Paul Thorn returns to his first musical steps on his recent release, Don’t Let the Devil Ride. Taking the studio time back to church, Paul Thorn walked holy ground, recording Don’t Let the Devil Ride in Memphis at Sam C. Phillips Recording, in Muscle Shoals at FAME Studios, and for a touch of New Orleans, added in players from Preservation Hall. Paul takes pride in the recording, and is on board with its mission, feeling that ‘this is the culmination of my whole life in music, coming back to my gospel roots. My message on this record is 'let's get together' - I want to help lighten your load and make you smile’. 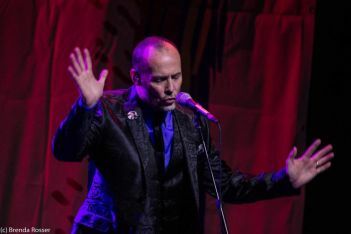 Paul Thorn slowly rolls the wheels and the tempo as he hops on board “Love Train” with vocal assistance from The McCrary Sisters. Blind Boys of Alabama step up to the message microphone to help out with backing vocals on “He’ll Make a Way” and Bonnie Bishop joins in on the slow processional groove of “Something on My Mind”. Don’t Let the Devil Ride chooses a persistent percussive beat to underline the advice in the title track, opening the album doors on a high step with first cut “Come on Let’s Go”, following a snaking lead guitar into “One More River”, and questioning the future, fortified by faith and an almighty commitment in its rhythm, for “What Should I Do”. Paul Thorn channels sweet southern Soul as he and The McCrary Sisters put glory into a shuffle with “You Got to Move” while they stand tall and offer the inspiration of experience and a Memphis groove of “Keep Holdin’ On”.